The worldwide growth rate of digital data is staggering. If you're a CIO or a data center administrator, data growth statistics aren't just big numbers, they are a big problem -- for your company. Email messages, social media and blog posts, text and instant messages, photos, video and audio, machine-generated data, and transactional detail are on track to overwhelm your storage capacity. 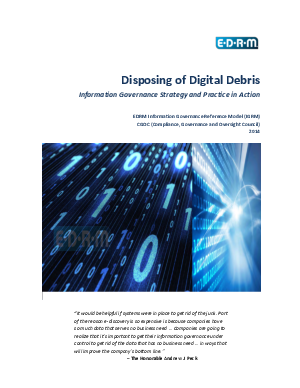 Read this paper for practical advice and smarter solutions for managing the information in your organization and getting back to a position of mastery over your data. Get this valuable resource now.